There are a couple of surprises about Blumhouse's upcoming horror movie Ma. 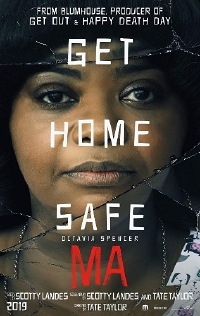 The most obvious is the fact that it sets up the usually lovable Octavia Spencer as a killer but the bigger surprise is that this comes from Tate Taylor, the director of The Help. Ma stars Spencer as Sue Ann, a lonely lady who, after buying alcohol for a group of underage school kids, invites them over to party in her basement, a place that quickly becomes the hangout spot. The good times start to turn bad when Maggie (Diana Silvers) one of the kids, starts to suspect something nefarious is going on with Sue Ann. Juliette Lewis, Allison Janney and Luke Evans also co-star. The nice-lady-turns-out-to-be-a-killer trope is a familiar one but having that nice lady be a woman of color does feel a bit fresh and there's a playfulness in Spencer's performance that really comes through in the trailer. Ma will be hunting down teenagers when it opens on May 31.